Select the The Rio for your new extension and you will be making a statement of elegance with a discreet and uncluttered design, which embodies the spirit of traditional orangery buildings. The Rio’s flat-roofed styling has a strikingly different appearance from alternative orangery designs, with the distinctive lantern visibly ‘sat’ on top for maximum visual impact. Evoking classical times with its waterproofed flat-roof and profiled aluminium gutter and fascia, The Rio truly delivers with features designed for modern living. 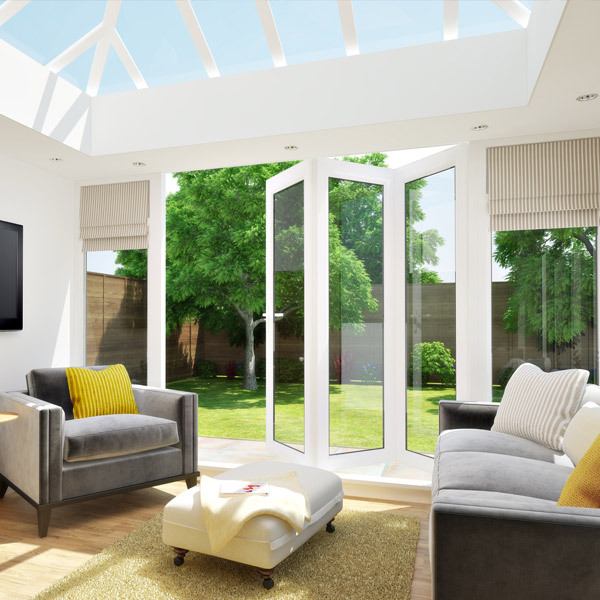 For the perfect finishing touch, elegant French doors or a set of modern bi-folding doors will lead out into the garden from your beautiful orangery.